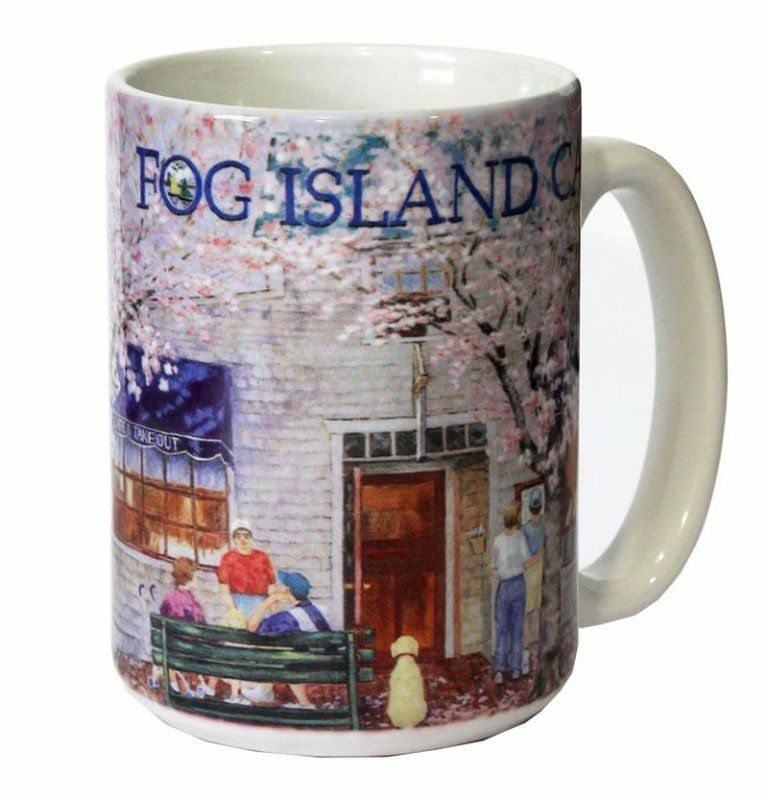 Great way to start you day with this beautiful coffee cup featurng the original artwork of Fog Island Cafe by Artist Randel Rogers. Born and raised in the heart of the corn belt region of the Midwestern United States, Randel Rogers grew up with the inspiration of the sweeping vistas of agricultural terrain. 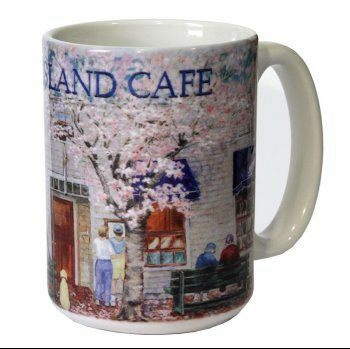 After having drawn and painted on her own as a child, she graduated in the late 60's with a degree in studio art from Rollins College in Winter Park, Florida. Further art education came from Virginia Commonwealth University School of the Arts in Richmond, Virginia and the Corcoran School of Art in Washington. She has painted murals at the Department of Defense at the Pentagon as well as commissions for Faison Associates, The James Center, Richmond, Virginia, Saint Stephens Church, Richmond, Virginia. Rogers has recently relocated to a small community along the Sun Coast of Florida. "My work is representational, using nature as my starting point in both theme and color. The push of land, the sweep of water, the angled tree line, give me my motivation; local color, with the light playing against it, is my inspiration. Landscape works are begun en plein air using pastels; then a larger version in oil on canvas is painted in the studio. My paintings capture the different times of the day, the changes of the season, the soul of the moment. They are the way that I can share with others that portion of my life which I consider necessary and spiritual."